If you’ve been reading my previous articles, you’ll know that I’m very cautious when recommending training to fix performance problems. Although training is a fundamental part of the performance management systems that I implement, it is not sufficient in and of itself to achieve lasting change. Knowing that, I’m always a little bit skeptical when I see webinars offering to fix any host of problems in just thirty free minutes. At the same time, as a learning and development professional, with a heart to help smaller businesses find scale-able solutions, the affordability and flexibility of webinars and online training is irresistible. So how can you make sure you’re not getting ripped off? First, consider the different types of online training. There are a lot of variations, but let’s first consider two sub-categories: Instructor-led and self-directed. In instructor-led, the participants are typically in a teleclass or webinar with someone taking them through material. In self-led, participants have access to the course content, whether it’s video, audio, transcripts, and progresses at their own speed through the curriculum. This is contrasted to traditional training, where an instructor takes participants through theoretical and practical applications, in real time, in real life (radical, I know). I have been both a consumer and provider of all of these and there are clear pros and cons to each that should be taken into consideration when choosing the best training for your needs. But first, it’s important to put training into the correct context, to understand what it can and cannot do for your company. Training is always an antecedent intervention. This means that it happens before a desired behavior, in order to elicit a behavior. Training purports to achieve change by a) notifying recipients of expectations, b) providing information about how to perform desired behavior, c) provide practice in performing desired behavior, and/or d) creating a desire in recipients to perform desired behavior. These conditions all need to be met in order for behavior to change, but just doing these will not get you lasting change. After all, how many of us aren’t doing the things that need to be done because we don’t know we’re supposed to, or don’t know how and how many of aren’t doing them because we find other things more important (I’m talking about YOU, exercise!). Knowing the purpose and limitations of training can help you make the best choice. That being said, if it’s truly training you need, let’s start with the two extremes; traditional and self-directed. Biggest Pro: Live interaction is highly effective, because questions can be addressed, and a skilled trainer can evaluate learner comprehension and task acquisition. Biggest Con: This is usually the most costly training. Not only is there usually travel involved for either the trainer or trainees, there is also the possibility of lost work time as training typically is done during work hours. Biggest Pro: This is usually the most cost-effective training, as you’re not paying for the cost of the trainer, and the training can often be done outside of work hours. Biggest Con: Without significant follow up, it can be tricky to ensure course completion, and skill acquisition can be difficult to attain (or quantify). Then there are the hybrids, where I think one can find a lot of gold. We’ve all participated in webinars. Some are incredibly valuable and some less so. Instructor-led webinars, with a chance for Q&A, offer the best of both worlds. The more opportunity for participant interaction, the more valuable the webinar will be received. Finding the right type of training is like finding the right solution for any need. I would recommend doing your research and asking lots of questions. If you ever feel pressured to buy, are not encouraged to ask questions, are told customization isn’t an option, or the provider makes unrealistic promises, this is probably not for you. Wherever possible, try to seek out solutions that include the other requirements for performance change: feedback and ongoing reinforcement. For example, I specifically work with small and medium-sized, growing businesses, mostly outside the tech space. I use a combination of traditional training and instructor-led virtual training because it allows me to overcome geographical challenges and also keep costs reasonable. I also highly customize my training for my clients. When it comes to my OBM training (which is an 8-week course) I add a second Q&A or practical application session for my clients to ensure they’re able to apply the concepts correctly in their organizations. Training is a multi-billion dollar a year industry. This is good and bad for small business owners. The good is there is a solution out there for you. The bad is the sheer number of options can be overwhelming. Don’t be afraid to ask for referrals, or help. Good luck with taking this important measure to improve performance and productivity. 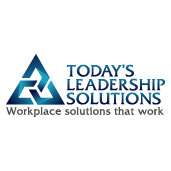 If you’re a leader who wants to learn more about various training solutions, click here!